Swapping pins allows you to bolt the RotoVise to different units. 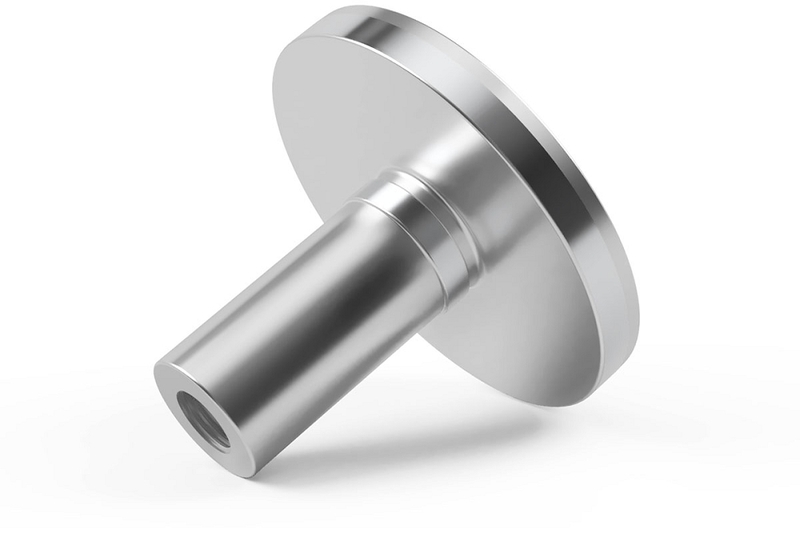 This guide pin has a diameter of 3.249" and is most commonly used with a Haas HRT-310 rotary table. Note: The platter size of the HRT-310 will only allow 3 of 6 bolts to be used. Additional care should also be taken to avoid spindle collisions with the larger platter size.